TWGS [The World’s Greatest Sinner] has been difficult, but not impossible to see, until recently. 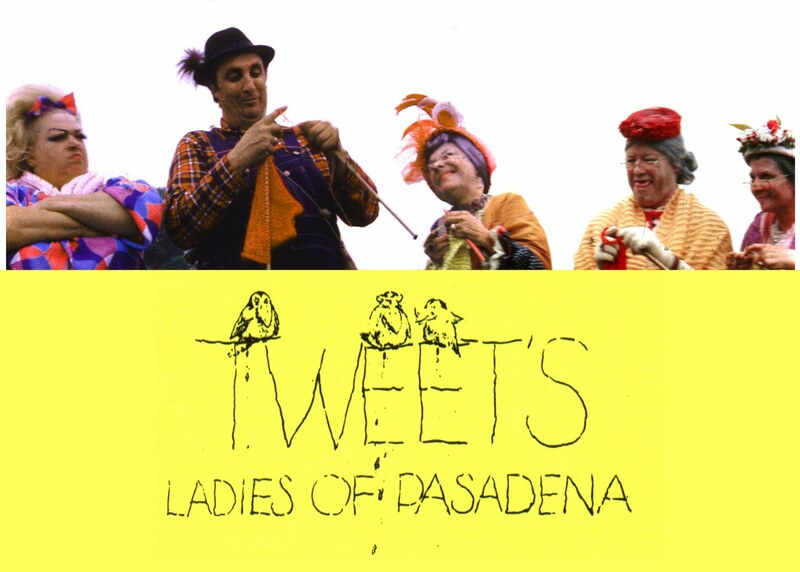 Much rarer is Tweet’s Ladies of Pasadena, a collection of footage, shot between 1969 and 1974, that was slated for a TV pilot in the 70s. This train wreck makes TWGS look like Citizen Kane; my first reaction was that it was unwatchable, but as it went on and I laughed hard at one and then another ridiculous scene, I couldn’t look away, always wondering what the hell he might do next. Carey stars as the roller-skating, bib-overall wearing Tweet Twig, caretaker of a menagerie of animals including goats, chickens, ducks, dogs and kittens (all of which belonged to the Carey family). Who talk. Yes, Timothy Carey made a talking animal picture, and naturally, the German Shepherd has a German accent. MUNICH, Germany, May 7 (Reuters)–Timothy Carey, 31-year old Hollywood actor who disappeared from his hotel here Sunday night, was found gagged and handcuffed on a lonely road outside Munich this morning, the police said here today. They said the actor had hitched a ride in a car driven by two English-speaking men, who held him at gunpoint, robbed him of $40 and finally dumped him by the roadside. Romeo Carey did know about it. After shooting for Paths of Glory had wrapped, Timothy Carey had been frustrated with the publicity around Kirk Douglas and his other co-stars. So he faked his own kidnapping. In another incident around that time, the crew had gone to a burlesque show one evening in which one performer ended her act in a bubble bath on stage. 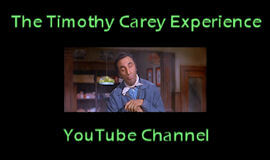 Timothy Carey walked right up to the stage and got into the bubble bath with her. Carey’s son painted a picture of life with father that was funny and uncomfortable. Romeo admitted that he used to be tremendously embarrassed by the Tweet’s footage. Toward the end of his life Carey became obsessed with the artistic possibilities of the fart. His last, unfinished project was a play called The Insect Trainer, about a man convicted of murder by farting. Carey liked to fart in church, just before reaching out to greet his neighbor in a sign of peace. EDITOR’S NOTE 12/31/14: Another one lost to the YouTube banhammer. Sorry folks. This week’s video is another one from the archives. It’s the episode of The Untouchables known as “Ain’t We Got Fun,” first broadcast on November 12, 1959. To me, one of the greatest mysteries of Timothy’s career is how he received no screen credit for this rather important role as Loxie, grinning pyromaniac torpedo to bootlegger Big Jim Harrington (fellow Brooklynite and frequent co-star Ted de Corsia). Let me take this opportunity for a bit of shameless self-promotion! My burlesque persona, Loxie Arcane, is named after this character and Nikki Arcane, the sharpshooting racehorse assassin from The Killing (1956). What can I say – Tim inspires me in so many ways. Enjoy this great (and, near the end, rather surreal) episode; it’s in four parts so be sure to watch ’em all! This week’s video only peripherally involves Timothy, but trust me, you’ll thank me later. When he was in New Orleans filming Bayou (1957), he was told he needed to learn to “dance real wild.” He went to the 500 Club every night for a week to watch the infamous Lilly Christine do her Cat Girl routine. And thus, his immortal “crazy Cajun dance” was born. If I have burlesque on my mind, it’s because I’ll be driving up to Seattle today for my very first BurlyCon! It promises to be quite the adventure, and posting here may be a bit sporadic until next week. I just wish Miss Christine was still around to join us. Tragically, she passed away after a bout of peritonitis in 1965 at the age of 41.